Those who want animated avatars or signatures, are free to request them. I've recently worked with a lot of animated projects in the APNG format, which is amazing, and has a good browser compatibility. Here's TaskManager's animated signature. I'm really proud of the result. This is the longest animation I've done. Here's also the former version of the signature, without colored resource consumption boxes. The signature took 3 hours in total, 1 to come with the base design, and 2 for the animation. I've made a quick animated signature for Gosha, who has just returned from the darkness, and will be fully back into the community very soon. I wanted to make something more tech for this one, based off the name and font, but made it simple on request. If possible, can you make a signature for me? 3 months late, but here they finally are. I'm still open to requests, although I won't be able to make them as quickly as I used to do, as I'm dedicating most of my time to learning sound theory, music mixing and mastering. Come on, HG. You always make these great masterpieces, but you can never make something decent for yourself. what programme do you use to create those gifs? This to put all frames together. All the frames are self-made though. The program is named like that, but you can use it to create an APNG of any sort, from PNG images (frames). 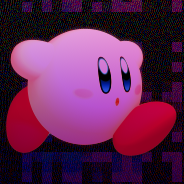 Topic Update: Finished moving the remaining images that were still hosted on Imgur, to Discord, to prevent any future issues with images being removed for lack of visits. 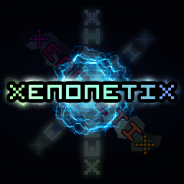 I'm in love with Xenonetix updated Avatar. Damn, thanks for pointing that out. I forgot that Russian can have lower-case characters with the same form as upper-case ones. Silly me thought it would be a good idea to replace the lower-case a's with smaller A's from the font I used. I changed the whole font to comply with the Russian language, while keeping it annoying, and a simple white texted wig. Hell, it has even more of the Anatoly style. I also was fairly sure there was a small version of A in the Russian alphabet. Well, guess I'm wrong.